These engravings were based on drawings by Sydney Parkinson, the artist on James Cook’s first voyage to New Zealand. 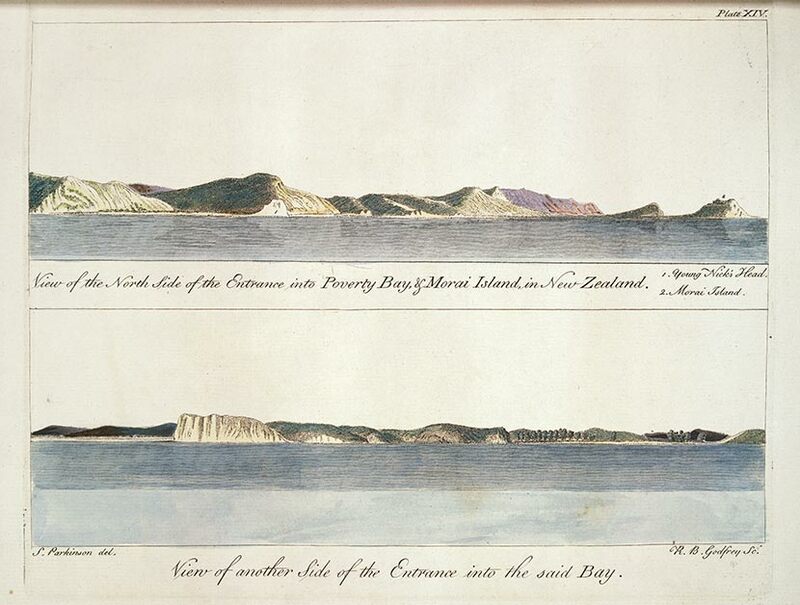 They depict the first part of Aotearoa seen by Cook and the crew of the Endeavour in October 1769 – Tūranganui-a-Kiwa, which Cook named Poverty Bay. In the top view the headlands to the east of Gisborne city (including Kaiti Hill) can readily be identified. The bottom view shows Te Kurī-a-Pāoa, which Cook named Young Nicks Head, after the ship's surgeon’s boy who was the first to see land.